Make your product or business stand out from your competitors with our eco-friendly kraft hang tag. 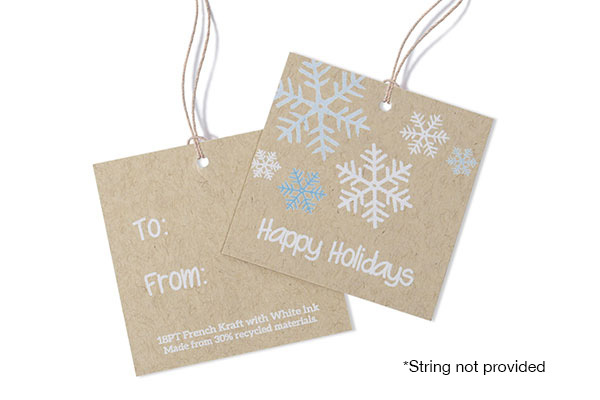 With custom hang tags, it’s easy to promote your business, jewelry, clothing or gifts. The possibilities are endless. Kraft paper provides subtle flecks giving them a rustic and natural appearance. 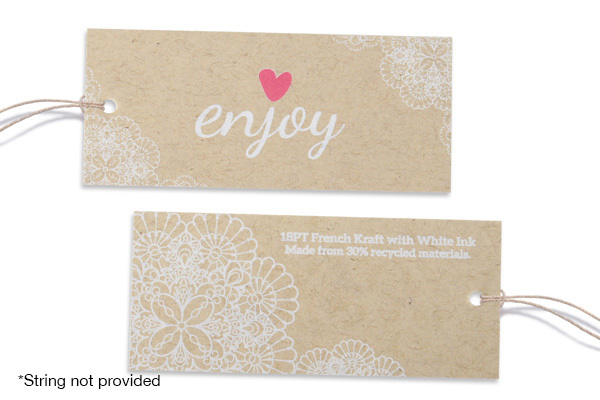 This Kraft paper is 30% recycled making them a popular and beautiful choice for hang tag. Printing: Printed digitally in full color CMYK for a truly organic look with the option of adding white ink masks for more opaque colors. Please Select 1.5" x 3.5" 2" x 2" 2" x 3.5" 2" x 4" 2" x 6" 2.5" x 2.5"